We are a manufacturer, dealer and installer of fume hoods and laboratory furniture. Designed for safety. Built for reliability. Genie has been manufacturing and selling steel lab furniture, including laboratory fume hoods, since 1979. When it comes to lab design and function, we know what we’re talking about; our team has an average of 20 years of laboratory experience per customer representative. 90% of our jobs are completed in-house, where we control the entire production process from concept to completion. Established in 1979, Genie quality fume hoods meet and exceed the demands for safety and ASHRAE 110 tested. We build fume hoods for all applications; bench top, floor mounted, low flow, green solutions and more. Custom sizes are our specialty! Offering a comprehensive line of steel cabinets in any color or configuration, we offer three tiers of furniture to suit your needs. Genie manufactured products are warrantied for 10 years with an option for the life of your ownership. It all begins with a great plan and Genie’s “One Stop” approach. We have experienced lab planners, using REVIT/CAD layouts. We offer quality manufacturing with dedicated project managers and installers. All coordinated under one umbrella. 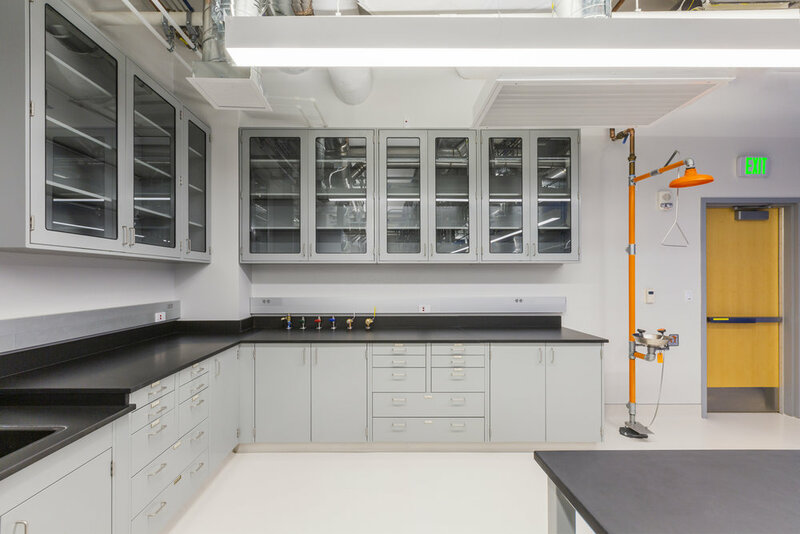 Genie Scientific partners with industry leading Original Equipment Manufacturers (OEMs) to provide customers with a single source for fume hood, laboratory furniture and installation services.